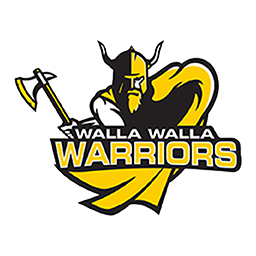 OREGON CITY, Ore. — Walla Walla Community College and Walla Walla University both completed first-round action in the Warner Pacific Invitational under partly sunny skies here at Stone Creek Golf Course on Monday. WWCC women placed fourth after 18 holes, with WWU at the bottom of the seven-team standings. Meanwhile, with the men playing 36 holes, WWU placed ninth — one up on WWCC. The top three teams in both tournaments included Corban, Oregon Tech and College of Idaho — in that order. Both tournaments will conclude today with another 18 holes. 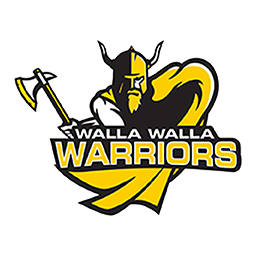 The WWCC women together in the first round scored a 375, three up on fifth-place Southwestern Oregon. Corban was first with a 313. Brooke Orr led the Warriors with a 15-over par 87, good enough for 15th place out of 41 on the individual leaderboard. Corban’s Bethany Bullers topped all with a 2-over 74. WWCC also had Wa-Hi alumn Brooke Cramer and Camryn Box both 20th with 92s, while teammate and Dayton grad Ally Chapman was tied for 29th with a 104. Cynthia Deville also turned in a 134 for WWCC. WWU women scored a 435, led by Lindsey Shearer’s 104. Michael Garcia and Jordyn Watkins both shot 108s for WWU, and teammate Kaitlyn Whitley completed the team score with a 115, while Kaylee Rawson turned in a 117. Meanwhile the WWU men finished 36 holes in first round with a 635, only 15 ahead of 10th place WWCC. Corban led the way with a 5-under 571. WWCC’s top scorer, however, was Connor Lees in 16th place out of 58 with a 5-over 149. He cut a stroke for a 74 in the second 18. The Warriors also had Marcus Egusquiza tied for 29th place with a 72-83—155. Brendan Collins led WWU with a 77-80—157, placing him 35th. Corban’s Devery Stewart and Chris Carew, College of Idaho, paced all men with 5-under 139s. WWCC also had Austin Khile with an 86-79—165, and Wyatt Utt with a 90-91—181. WWU’s score included Aubrey Fautheree’s 81-79—160, Jarrett Johnson’s 82-79—161, and Cole Henderson’s 80-84—164. The Wolves also had Kevin Cummings turn in a 79-86-165, while teammate Mark Janta added an 88-78—166.